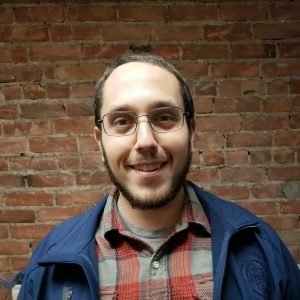 Public Policy Associates, Inc. (PPA) is pleased to announce that Zachary Shapiro, MSW, has joined PPA as a research associate. Mr. Shapiro possesses a deep understanding of both quantitative and qualitative methodologies with an expertise in focus groups, survey design, interviewing, literature reviews, and primary source historical research. He received his master of social work from the University of Michigan with a concentration in social policy and evaluation and his bachelor of arts in sociology from Western Michigan University and he came to PPA to pursue his interest in workforce development. Mr. Shapiro has experience assisting with research and evaluation projects at the nonprofit, university, and governmental levels. Before joining PPA, he worked at the Center for Urban Studies at Wayne State University, where he helped lead Healthy Homes and AmeriCorps Urban Safety initiatives. He also served as a research assistant at the Center on Assets, Education, and Inclusion at the University of Michigan, where he worked on an Oakland Promise savings account project. During his master’s program, Mr. Shapiro also worked at the Human Trafficking and Social Justice Institute where he managed the Global Association of Human Trafficking Scholars. “We are very pleased to have Mr. Shapiro join PPA. In addition to his rich background in research, he brings a fresh perspective to the work that we do. His expertise and willingness to learn will complement PPA’s existing team and be of great benefit to our clients,” said PPA President Colleen Graber. For more information contact Mr. Shapiro at zshapiro@publicpolicy.com or 517-485-4477. PPA Research Assistant Erica Dalzell Goes for a Ph.D.